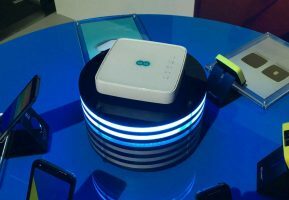 We were asked by a marketing agency to design this illuminated LED display plinth to show off a new WIFI router at a trade exhibition. Carefully designed first in CAD software, we laser cut multiple layers of acrylic, with an LED strip in each one. A micro controller sequences the LEDs and the plinth starts up automatically after being plugged in. Finally it all screws together with long bolts and sits on 4 rubberised feet, ready to be the eye-catching centrepiece at the trade show stand. The piece was programmed to be the same hue as the colour stipulated in the 3 corporate branding guidelines. 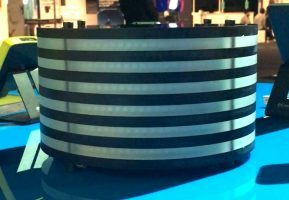 We are well versed in the importance of meeting such requirements on behalf of our corporate clients and therefore made sure that the LEDs we used for the display plinth were capable of delivering the exact colour needed.